Easy come, easy go! 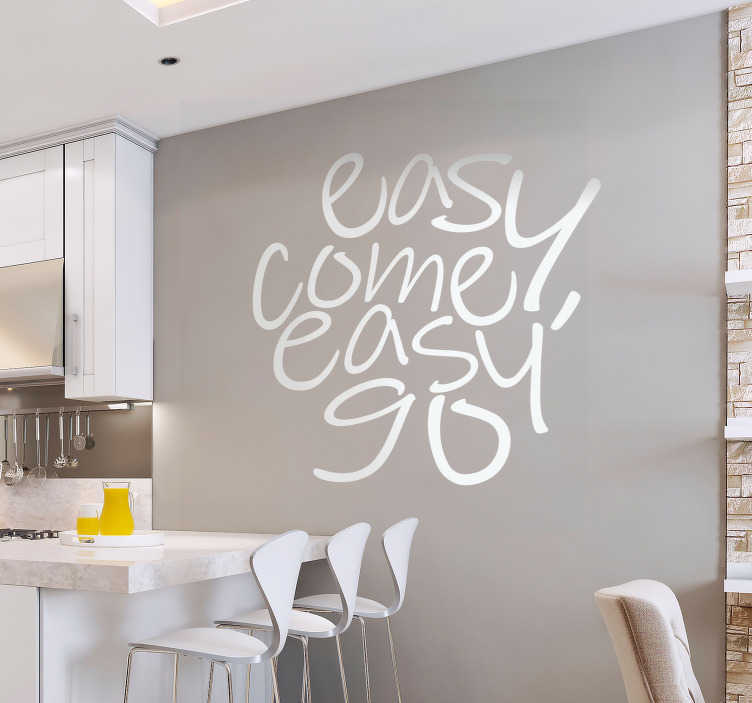 The motto that should be followed by everyone as they negotiate the stresses and strains of life, so why not adorn your wall with it, thanks to this gorgeous wall text sticker! Depicts the famous lyrics from the Queen classic, making this a classic music sticker!